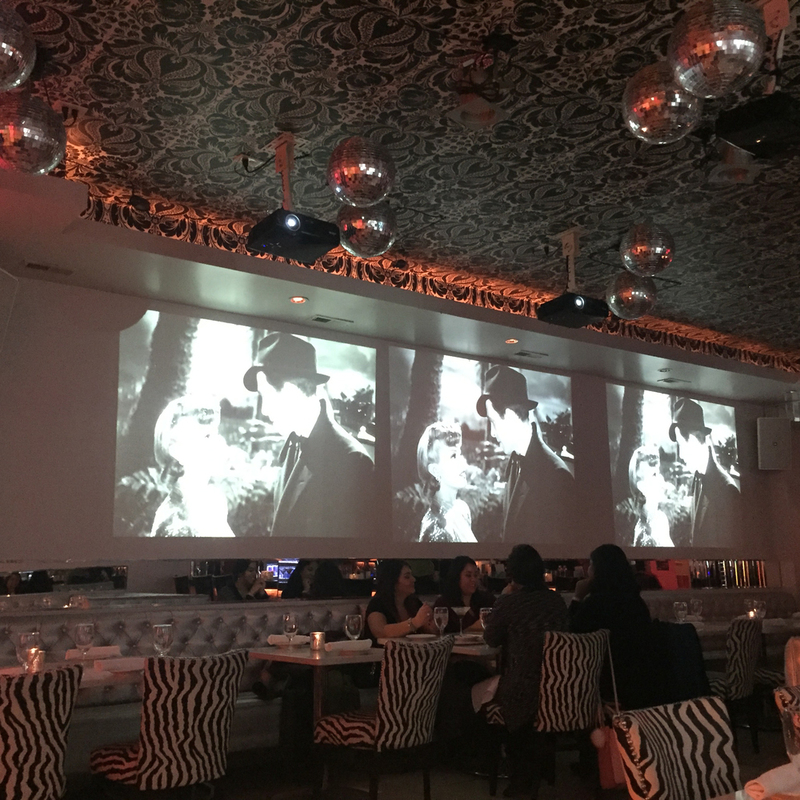 Kit Kat Lounge is a bar in Chicago that uses multiple projectors all playing the same vintage movies as part of their classy decor. You can easily achieve this look with any movie of your choice. In the photo you can see 3 projectors (although there are a few more on the other side of the bar as well). You can rent the first projector for $98, and each additional is only $55 each. To play the actual movie, you'll need to provide your own laptop computer capable of outputting to multiple displays. Make sure you have the correct cables to hook up external monitors to your computer. You might need a splitter or something to send the connection to more than 1 monitor. Search the internet for how to do this with your specific computer or send over an email and we'll be happy to help you figure out what you need.